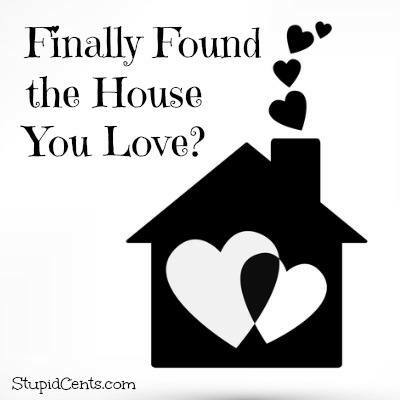 Finally Found the House You Love? Buying a house can be a very intimidating process. After you finally go through tons of houses and find one that you love that is in your price range, there are a couple of others things that you need to do as well. It is also hard because in some areas of the world, you might be in a major time crunch because there might be multiple offers on a house, however, you should wait until you know that the house is perfect! Rushing a home purchase shouldn’t be done! Sometimes neighborhoods are completely different from the day time (the time when you are most likely to view the house) to night time. Your neighbors might be crazy loud and obnoxious. Luckily our neighborhood is pretty quiet no matter what time it is. This is something that we did not do, and luckily it worked out still. However, I have heard of people who didn’t do this and once they moved in, they realized that their neighborhood was the exact opposite of how they thought it would be. Also, look around the neighborhood if you are not used to the area. Make sure that it’s an area that you want to live in. If the schools are really bad but you don’t have children, will that affect your decision? Bad schools can really hurt home prices so that might be something that you want to think about as well. So many people do not hire an inspector to check out the house BEFORE they buy. An inspector might not be able to find everything wrong with the home that you might buy, but they can find a lot of things. They can check for foundation problems, things you might have overlooked, termites, radon, and so on. We hired an inspector and they found radon in our basement. We were then able to negotiate that into our contract and ask for the seller to pay for it, or we just wouldn’t buy the house. Of course if you are in a desirable market, then nitpicking little things might not be worthwhile if the expenses are small. Make sure that you are willing to pay for expenses and repairs that need to be made. Do you want to pay for homeowner association dues? Some dues can be very high, and sometimes it can be very low. How many rules does the neighborhood impose? Are any of the rules absolutely ridiculous that the homeowner association imposes? Sometimes they are simple such as no parking the street (however, that would get on my nerves if I wanted to have family or friends over) or no damaged cars, but sometimes they can be crazy such as only being allowed to paint your house in 3 specific colors, no fences, no parties (yes, not even a BBQ) and so on. Make sure that you know the rules before you move in! I know that if a place said that I couldn’t have a fence, then I definitely would not want to move there. Did you do anything to make sure your dream house was perfect for you and your family?